“Celebrating 20 Years of the Oxford American Southern Music Issue,” AWP 2019, March 29, 2019. “Memories of the Future: In Conversation with Siri Hustvedt,” Town Hall Seattle, March 25, 2019. 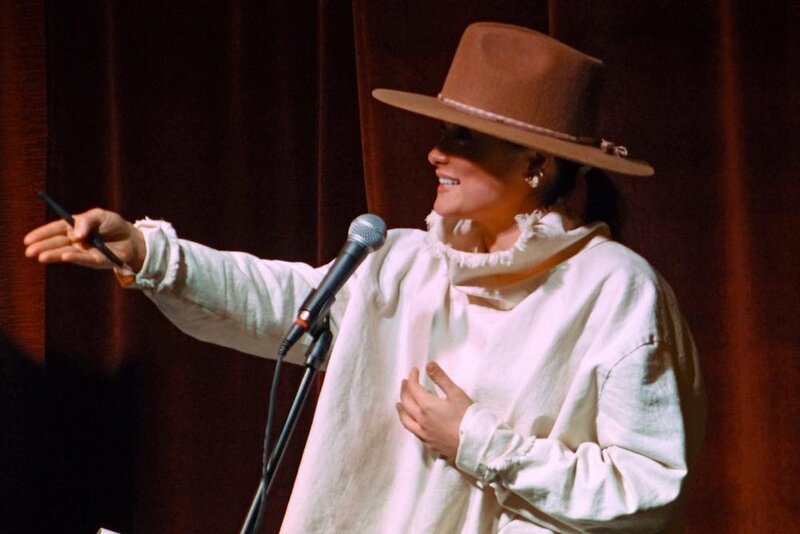 “The Women of the Cuban Jazz Scene,” All of It/WNYC, March 12, 2019. “Stories from the Issue,” Oxford American, November 29, 2018. "Jean Wahl and the Literary Modernist Resistance," United States Holocaust Memorial Museum, April 4, 2018. "Dorothy Norman, Richard Wright, and Twice a Year," Caribbean Philosophical Association 2017 Annual Meeting, "Shifting the Geography of Reason XIV: Theorizing Livity, Decolonizing Freedom." Borough of Manhattan Community College, June 22-24, 2017. “New Approaches to Existentialism and the Absurd,” Annual Meeting of the Modern Languages Association, Philadelphia, PA, January 5-8, 2017. Session co-organizer with Julia Elsky. “Retriangulating Franco-African-American Culture in Sound, Image, and Text,” Annual Meeting of the American Comparative Literature Association, Harvard University, Cambridge, MA, March 17-20, 2016. Seminar co-organizer with Eric Prieto. “Simone de Beauvoir’s Philosophy of Film,” Intellectuals and Reviews in the Light of Cinema: The Bazin Years in Paris, Yale University, New Haven, CT, February 27, 2015. With Dudley Andrew and Alice Kaplan (invited). 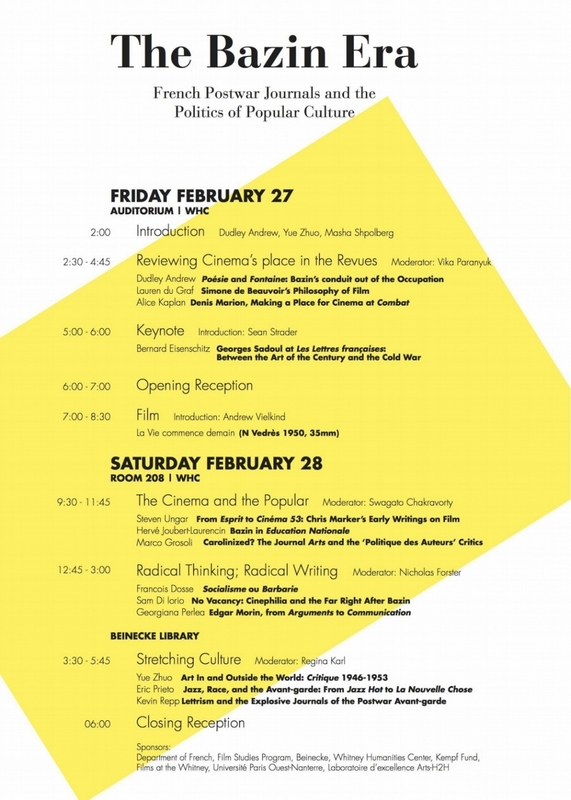 Program from "The Bazin Era" conference at Yale University, February 2015. “From a Salon to a Social Network: Postwar Modernist Community in France, the U.S., and Africa,” Annual Meeting of the American Comparative Literature Association, Seattle, March 26-29, 2015. Moderator: “Philosophy and Literature” Panel, Diverse Lineages of Existentialism, St. Louis, MO, June 19-21, 2014. “Mississippi Modernisms,” Annual Meeting of the American Comparative Literature Association, New York, March 20-23, 2014. Copyright 2018 Lauren Du Graf. All Rights Reserved.